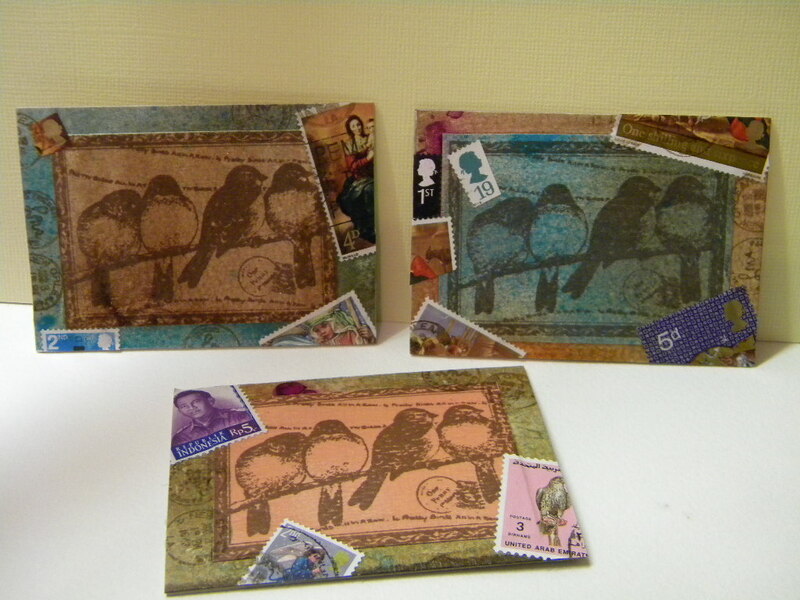 Here they are… a trio of Bird / Lindy Background / Old Postage Stamps / Rubber stamp postmarks..
Oh, love the stamp of the bird trio! 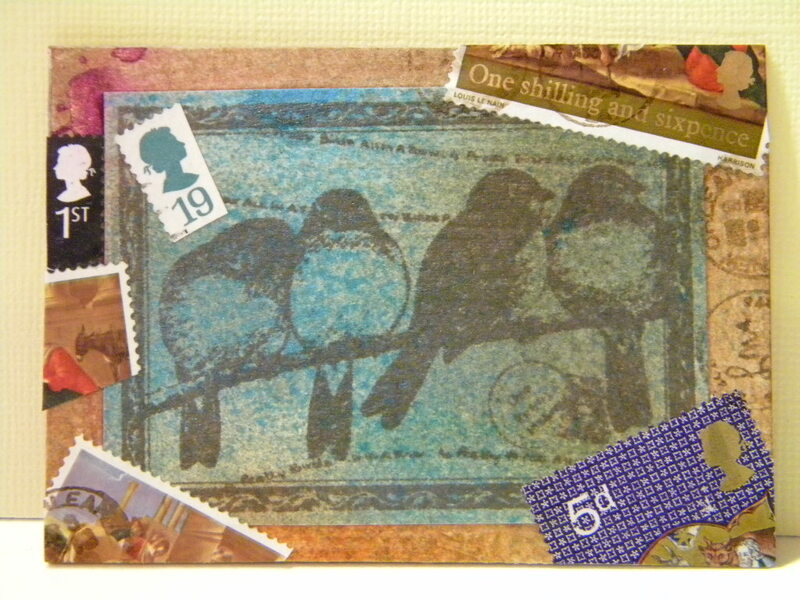 And some of my very favs are birds and postage stamps so LOVE the ATCs. Great creations Sarah! Forgot this – have you been having a makeover here? Hey Joyce 🙂 and I couldnt agree more!! Love using up all the leftovers. 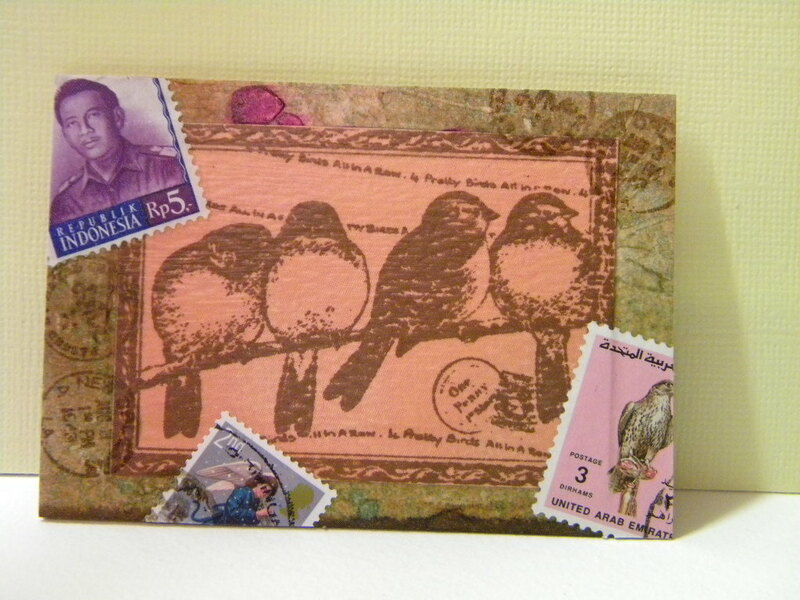 Hi there Kim.. thanks so much for the lovely comment, glad you like the ATC’s, I do like to use up all the scraps when I’m done with a project. Wow Sarah, you’ve been so busy today! I’ve been so busy watching everyone I’m fast running out of time before I return to work!! 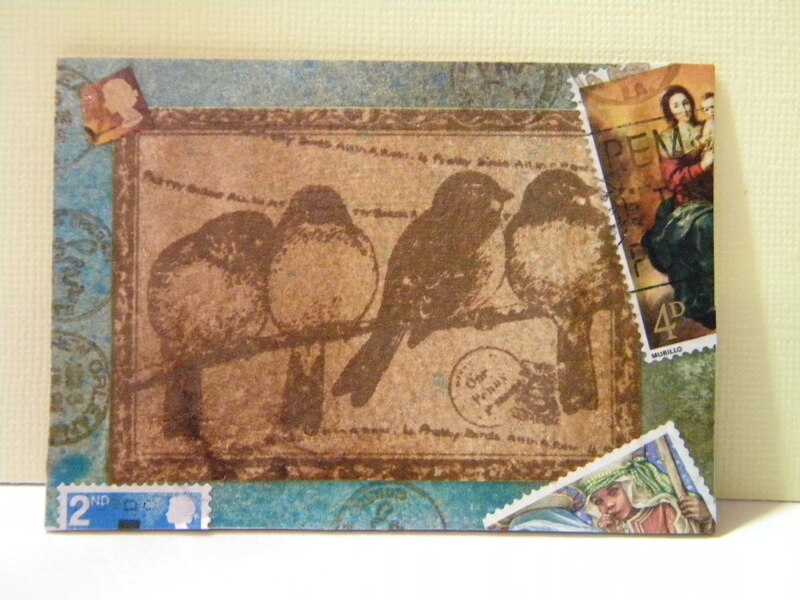 I love these ATC’s – we’ll have to do a swap sometime :). Your blog is looking really good too, very easy on the eye! Thanks Helen… I did have a great day of crafting up in the workshop today 🙂 made loads of things.